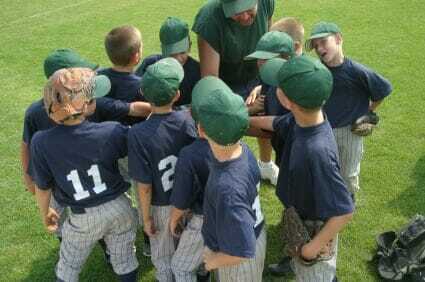 A youth baseball team prepares for a game n a huddle. All hand in for a cheer. Green and blue uniforms.